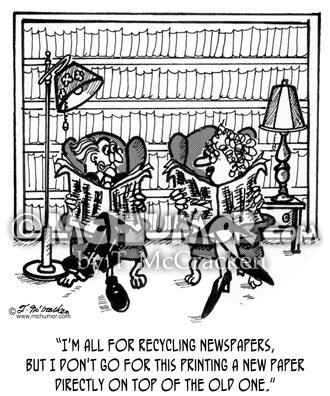 Newspaper Cartoon 2037: A man says reading a paper with big blocks of black says, "I'm all for recycling newspapers, but I don't go for this printing a new paper directly on top of the old one." 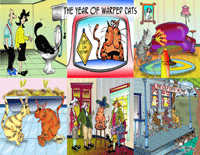 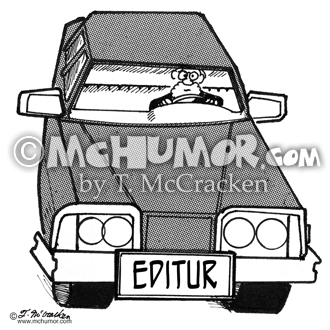 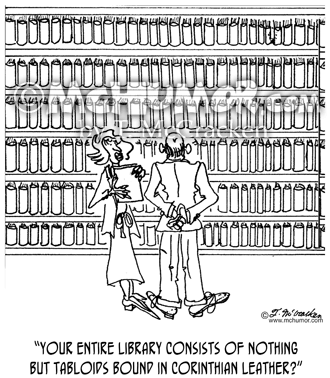 Tabloid Cartoon 7467: Woman in an impressive looking library says to a man, "Your entire library consists of nothing but tabloids bound in Corinthian leather?" 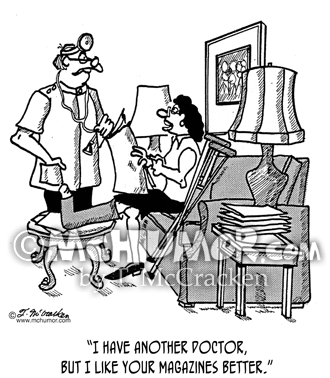 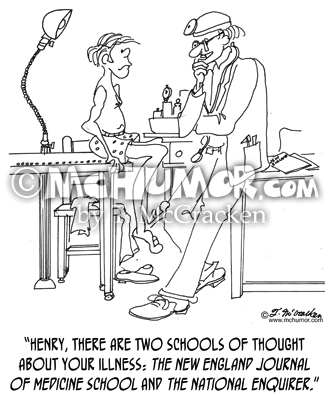 Medicine Cartoon 1409: A doctor says to a patient, "Henry, there are two schools of thought about your illness: The New England Journal of Medicine school and the National Enquirer." 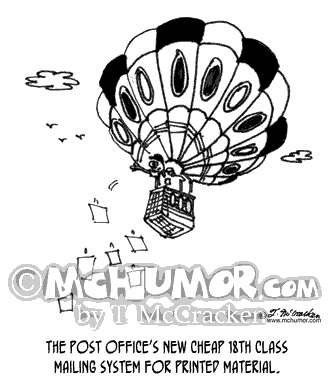 Balloon Cartoon 3482: "The Post Office's new cheap 18th class mailing system for printed material." 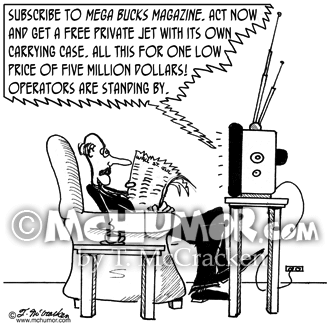 A man in a balloon throws magazines out. 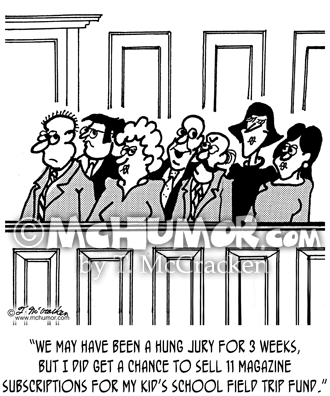 Jury Cartoon 2354: A juror says, "We may have been a hung jury for three weeks, but I did get a chance to sell 11 magazine subscriptions for my kid's school field trip fund."